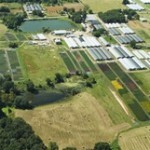 Parks Bros. is Arkansas’s Largest Wholesale Greenhouse. You can visit our About Us page to learn more about our family operation. FOREST HILL NURSERY FARM, INC.